Take advantage of our secure storage facility in Colchester, Essex, and attain peace of mind that your possessions are protected. For further information about our services, please contact our team at our storage company in Colchester, Essex. Store your items safely in our warehouse. With CCTV operating on the premises 24-hours a day, you can be confident that your items are stored in a secure facility. 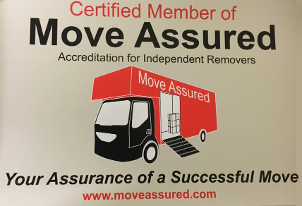 Here at Blankfields Removals, we do not provide self-storage, instead, we offer a managed storage solution that is ideal when you are moving in-between properties. If you are wanting to store your items for an extended period, this is something we can provide. However, it is important to note that access to our warehouse is only permitted via appointment only with our long-term storage service. For more information on our storage services, please do not hesitate contact us. CONTACT OUR team at our storage company in Colchester, Essex, for details about our storage services.